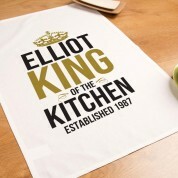 A wonderful tea towel for the real King of the kitchen! 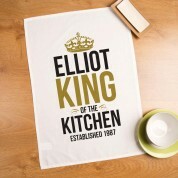 We think this funky tea towel will make an excellent birthday or Christmas gift for a spouse or family member. 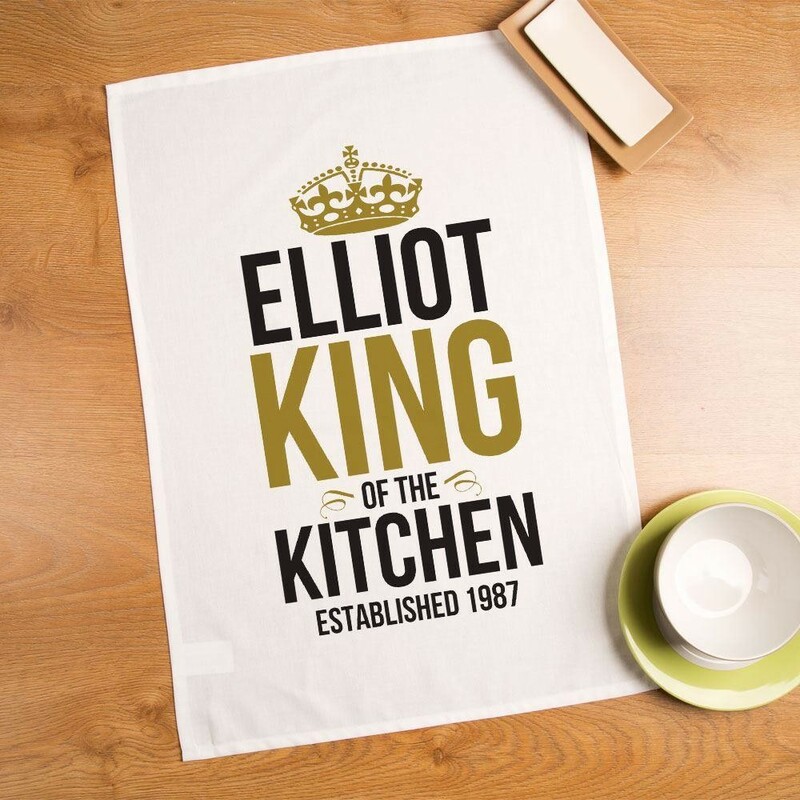 The simple, bold design stands out for miles – he will love to show it off in his castle! 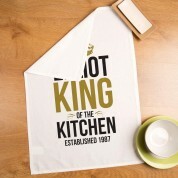 It reads the recipient's name and “King of the kitchen”. It is made complete with a gold crown and even includes an “established” date. The perfect little keepsake for any occasion – it makes an excellent stocking filler. Maybe he will be easier persuaded to help with the dishes!